For other uses, see Blue Marble (disambiguation). 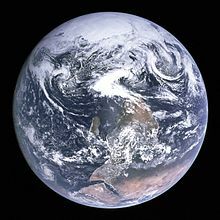 The Blue Marble is an image of Earth taken on December 7, 1972, from a distance of about 29,000 kilometers (18,000 miles) from the planet's surface. It was taken by the crew of the Apollo 17 spacecraft on its way to the Moon, and is one of the most reproduced images in history. The image has the official NASA designation AS17-148-22727 and mainly shows the Earth from the Mediterranean Sea to Antarctica. This was the first time the Apollo trajectory made it possible to photograph the south polar ice cap, despite the Southern Hemisphere being heavily covered in clouds. In addition to the Arabian Peninsula and Madagascar, almost the entire coastline of Africa is clearly visible. The Asian mainland is on the horizon. NASA has also applied the name to a 2012 series of images which cover the entire globe at relatively high resolution. These were created by looking through satellite-pictures taken over time in order to find as many cloudless photographs as possible to use in the final images. The photograph, taken on December 7, 1972, at 05:39 a.m. EST (10:39 UTC), is one of the most widely distributed photographic images in existence. The image is one of the few to show an almost fully illuminated Earth as the astronauts had the Sun behind them when they took the image. 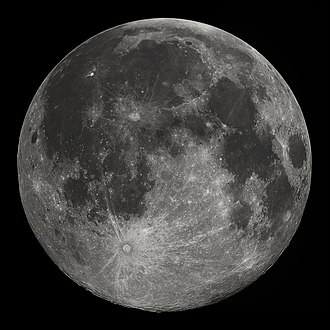 To the astronauts, the slightly gibbous Earth had the appearance and size of a glass marble, hence the name. 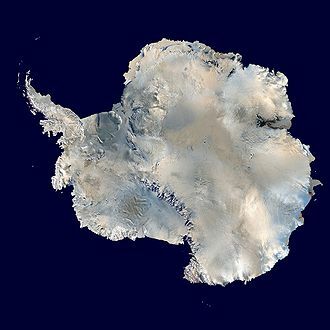 It has been mostly shown with Antarctica at the bottom, although the actual view the astronauts had was with Antarctica on top. The original orientation of the photo, with south at the top. The photograph was taken about 5 hours and 6 minutes after launch of the Apollo 17 mission, and about 1 hour 54 minutes after the spacecraft left its parking orbit around Earth, to begin its trajectory to the Moon. The time of Apollo 17's launch, 12:33 a.m. EST, meant that Africa was in daylight during the early hours of the spacecraft's flight. With the December solstice approaching, Antarctica was also illuminated. The 1972 Tamil Nadu cyclone can be seen in the top right of the image. This storm had brought flooding and high winds to the Indian state of Tamil Nadu on December 5, two days before the photograph was taken. The photograph's official NASA designation is AS17-148-22727. NASA photograph AS17-148-22726, taken just before and nearly identical to 22727, is also used as a full-Earth image. The photographer used a 70-millimeter Hasselblad camera with an 80-millimeter Zeiss lens. NASA credits the image to the entire Apollo 17 crew—Eugene Cernan, Ronald Evans and Harrison Schmitt—all of whom took photographs during the mission with the on-board Hasselblad, although evidence examined after the mission suggests that Schmitt was the photographer. All Apollo flights were heavily scheduled down to the minute. At the time this photo was taken, none of the astronauts was scheduled to do so. Thus this photo was taken quickly in a stolen moment. The astronaut who took the picture was weightless, and the continents were hard to see, and he took the photo quickly, which explains why he held the camera upside down compared to the north up orientation of all maps. If every photo on this roll of film is printed, and all of the photos on the roll of film are oriented the same way, then when viewed in sequence, to put feet down and heads up, this photo will have the south pole up, breaking the map convention. The Blue Marble was not the first clear image taken of an illuminated face of Earth, since similar shots from the ATS-3 satellite had already been made as early as 1967. The Apollo 17 image, however, released during a surge in environmental activism during the 1970s, became a symbol of the environmental movement, as a depiction of Earth's frailty, vulnerability, and isolation amid the vast expanse of space. NASA archivist Mike Gentry has speculated that The Blue Marble is among the most widely distributed images in history. Blue Marble composite images generated by NASA in 2001 and 2002. NASA Earth Observatory animation of Blue Marble Next Generation (2004). In 2002, NASA released an extensive set of satellite-captured imagery, including prepared images suitable for direct human viewing, as well as complete sets suitable for use in preparing further works. At the time, 1 km/pixel was the most detailed imagery available for free, and permitted for reuse without a need for extensive preparatory work to eliminate cloud cover and conceal missing data, or to parse specialized data formats. The data also included a similarly manually assembled cloud-cover and night-lights image sets, at lower resolutions. A subsequent release was made in 2005, named Blue Marble Next Generation. This series of photo mosaics was produced with the aid of automated image-sifting upon images from NASA's Earth Observatory, which enabled the inclusion of a complete, cloud-free globe for each month from January to December 2004, at even higher resolution (500 m/pixel). The original release of a single-image set covering the entire globe could not reflect the extent of seasonal snow-and-vegetative cover across both hemispheres, but this newer release closely modeled the changes of the seasons. 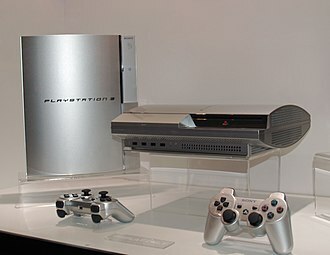 A number of interactive viewers for these data have also been released, among them a music visualization for the PS3 that is based on the texture data. 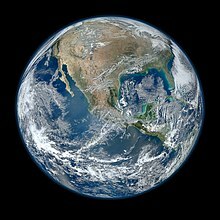 On January 25, 2012, NASA released a composite image of the western hemisphere of Earth titled Blue Marble 2012. 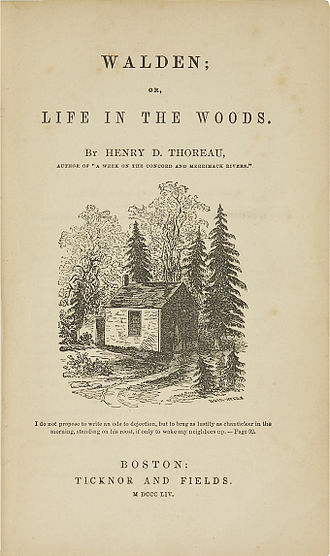 The picture logged over 3.1 million views on the Flickr image hosting website within the first week of release. On February 2, 2012, NASA released a companion to this new Blue Marble, showing a composite image of the eastern hemisphere from data obtained on January 23, 2012. The picture is composed of data obtained by the Visible/Infrared Imager Radiometer Suite (VIIRS) instrument on board the Suomi NPP satellite on January 4, 2012. 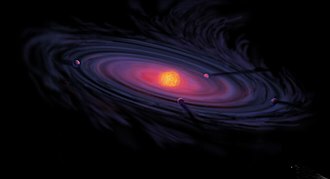 The data was obtained from six orbits of the Earth by the Suomi NPP over an eight-hour period. The image was created using a near-sided perspective projection with the viewing point placed 2100 km above 20° North by 100° West. This projection results in a very wide-angle presentation such as one might get with a fish-eye lens, and it does not include the whole hemisphere. Black Marble – North and South America at night, Hurricane Sandy can be seen off the coast of Florida. On December 5, 2012, NASA released a nighttime view of Earth called Black Marble during an annual meeting of Earth scientists held by the American Geophysical Union in San Francisco. The images display all the human and natural matter that glows and can be detected from space. 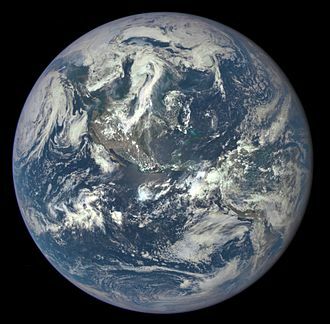 The data was acquired by the Suomi NPP satellite in April and October 2012 and then mapped over existing Blue Marble imagery of Earth to provide a realistic view of the planet. The Suomi NPP satellite completed 312 orbits and gathered 2.5 terabytes of data to get a clear shot of every parcel of the Earth’s land surface. Named for satellite meteorology pioneer Verner Suomi, the satellite flies over any given point on Earth’s surface twice each day and flies 512 miles (824 km) above the surface in a polar orbit. The nighttime views were obtained with the new satellite's "day-night band" of the Visible Infrared Imaging Radiometer Suite (VIIRS), which detects light in a range of wavelengths from green to near-infrared, and uses filtering techniques to observe dim signals such as city lights, gas flares, auroras, wildfires, and reflected moonlight. Auroras, fires, and other stray light have been removed in the case of the Black Marble images to emphasize the city lights. The images have been used to study the spatial distribution of economic activity, to select sites for astronomical observatories, and to monitor human activities around protected areas. On July 21, 2015, NASA released a new Blue Marble photograph taken by a U.S. Deep Space Climate Observatory (DSCOVR), a solar weather and Earth observation satellite that was launched in February 2015 and will provide a near-continuous view of the entire sunlit-side of the Earth. The image was taken on July 6, 2015. 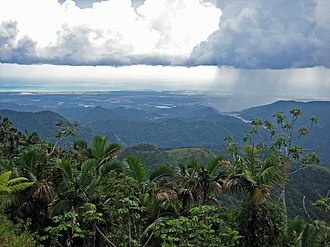 The photograph, of the Western Hemisphere, is centered over Central America. The Western United States, Mexico and the Caribbean are visible, but much of South America is hidden beneath cloud cover. 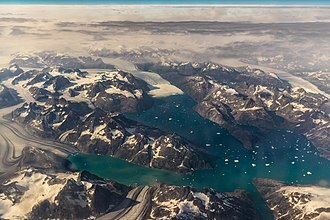 Greenland can be seen at the upper edge of the image. 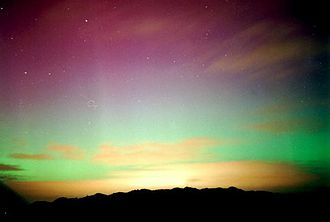 The EPIC science team plans to upload 13 new color images per day on their website. 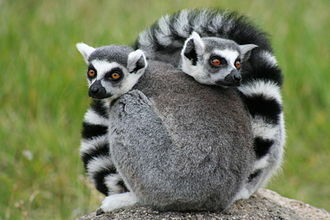 The color balance has been adjusted to approximate an image that could be seen with the average human eye. In addition to images, scientific information will be uploaded as it becomes available after in-flight calibration is complete. 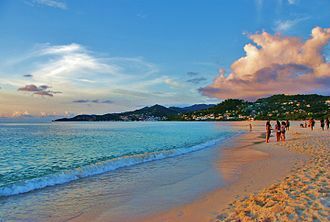 The science information will be ozone and aerosol amounts, cloud reflectivity, cloud height, and vegetation information. 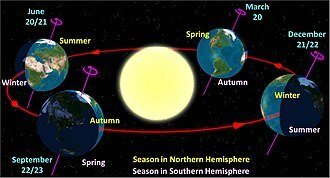 The EPIC instrument views the Earth from sunrise in the west to sunset in the east 12 to 13 times per day as the Earth rotates at 15 degrees of longitude per hour. Clearly visible are storms forming over the Atlantic and Pacific Oceans, major slowly moving "cloud rivers", dust aerosol plumes from Africa, the sun's reflection in the oceans, ship exhaust tracks in the clouds, rivers and lakes, and the variegated land surface patterns especially in the African deserts. The spatial resolution of the color images is about 10 km, and the resolution of the science products will be about 20 km. 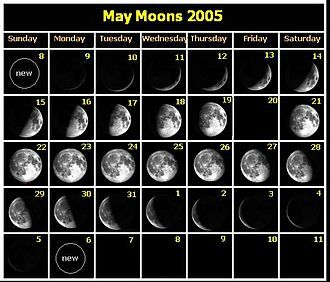 Once every three months, lunar images are obtained that are the same as those viewed from Earth during our full Moon. 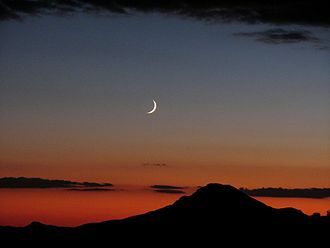 On occasion, the other side of the Moon will appear in the Earth images as the Moon crosses in front of the Earth. Earth Anthem, an anthem by poet-diplomat Abhay K featuring the sentence "United we unfurl Blue Marble Flag". Earthrise, another widely reproduced picture of the Earth, which was taken in 1968, by William Anders aboard Apollo 8. Flag of the Earth, a proposal for which features the Blue Marble photo. Pale Blue Dot, a 1990 image of the Earth taken by Voyager 1. Stewart Brand, author who, in 1966, lobbied NASA to release a then-rumored satellite photograph of the entire Earth. Whole Earth Catalog, an eclectic catalog compiled by Brand which was inspired in part by photographs of the Earth as a globe. ^ "Apollo 17 PAO Mission Commentary Transcript" (PDF). NASA. 2001. p. 106. Retrieved May 11, 2017. SC: You're loud and clear, Bob, and could you give us our distance from the Earth? ... CAPCOM: 18 100, Fido says. 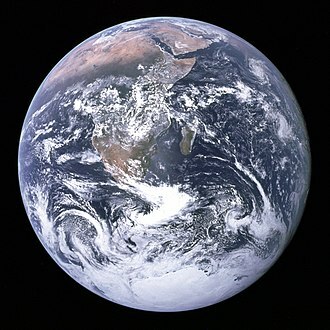 ^ "Visible Earth:The Blue Marble from Apollo 17". Nasa.gov. NASA. Retrieved 10 December 2017. ^ "Apollo 17 30th Anniversary: Antarctica Zoom-out". Scientific Visualization Studio. NASA. November 21, 2002. Retrieved May 11, 2017. ^ a b c Petsko, Gregory A (2011). "The blue marble". Genome Biology. 12 (4): 112. doi:10.1186/gb-2011-12-4-112. ^ a b c d "Apollo 17: The Blue Marble". ehartwell.com. 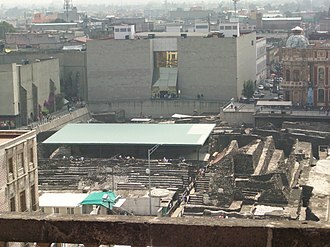 April 25, 2007. Archived from the original on January 9, 2008. Retrieved January 18, 2008. ^ "Apollo Imagery". NASA. November 1, 2012. Retrieved January 6, 2018. ^ a b c d Reinert, Al (12 April 2011). "The Blue Marble Shot: Our First Complete Photograph of Earth". The Atlantic. Retrieved 1 August 2018. ^ "Apollo 17 Image Library". Apollo 17 Multimedia. NASA. Retrieved April 29, 2007. ^ "History of Past Cyclones". Indian Meteorological Department. Archived from the original on September 25, 2014. Retrieved September 16, 2011. ^ "Worth a thousand worlds". Geek Trivia. TechRepublic. December 6, 2005. Archived from the original on April 13, 2008. Retrieved June 23, 2007. ^ NASA Mapping Sciences Branch (May 1974). Apollo 17 Index: 70 mm, 35 mm, and 16 mm Photographs. pp. 88. PDF. ^ "Apollo 17 (AS-512) The Last Manned Lunar Landing". National Air and Space Museum – Smithsonian Institution. Retrieved Jan 30, 2018. 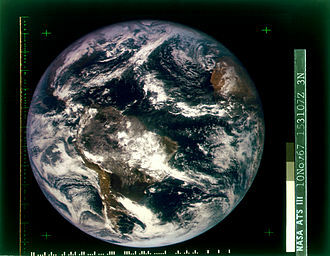 ^ "ATS-III Image Collection – Images of the Earth taken from November 1967 till March 1969". Schwerdtfeger Library – ATS-III. Retrieved July 1, 2015. ^ "Blue Marble : Feature Articles". Earthobservatory.nasa.gov. October 13, 2005. Retrieved December 7, 2009. ^ Christoph Hormann (May 30, 2007). "Christoph's page – Earth – early renders". 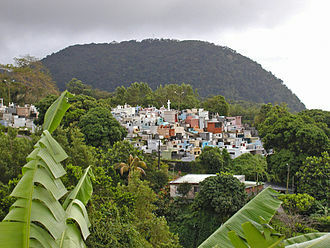 Imagico.de. Retrieved December 7, 2009. ^ Kuring, Norman. "Most Amazing High Definition Image of Earth – Blue Marble 2012". NASA. Retrieved February 12, 2012. ^ a b c NASA. "VIIRS Eastern Hemisphere Image – Behind the Scenes". NASA. Retrieved February 12, 2012. 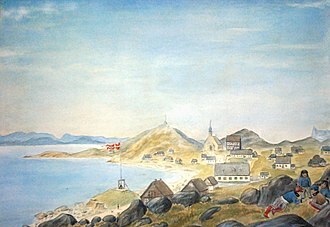 ^ Kuring, Normar. "Blue Marble". NASA. Retrieved February 12, 2012. ^ a b "NASA-NOAA Satellite Reveals New Views of Earth at Night". NASA. Retrieved December 9, 2012. 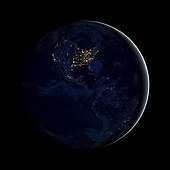 ^ "NASA Photos Show 'Black Marble' Earth at Night". ABC News. December 5, 2012. Retrieved December 9, 2012. ^ Samenow, Jason (December 5, 2012). "Satellites unveil Black Marble and spy on the moon". The Washington Post. Retrieved December 9, 2012. ^ a b c "Black Marble – Americas". NASA. Flickr. Retrieved December 9, 2012. ^ "'Black Marble' images shine light upon a sleeping world". The Washington Post. December 5, 2012. Retrieved December 9, 2012. ^ Lendino, Jamie. "Humanity gets a new Blue Marble photo of Earth – and it's stunning". Extreme Tech. Retrieved July 23, 2015. 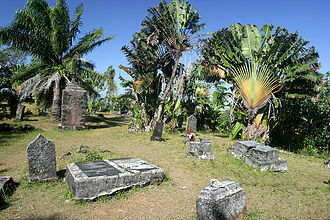 Wikimedia Commons has media related to The Blue Marble. Applications Technology Satellite 3, or ATS-3, was a long-lived American experimental geostationary weather and communications satellite, operated by NASA from 1967 to 2001. It was at one time reputed to be the oldest satellite still in operation, As of 1995, on November 10,1967, ATS-3 took the first color photo of the Earth, which was subsequently used on the cover of the first Whole Earth Catalog. Launched in November 1967, the ATS-3 was in service for 11 years before finally being decommissioned in 1978 along with ATS-1, among its widest-known achievements are the first full-disk, color Earth images transmitted from a satellite. 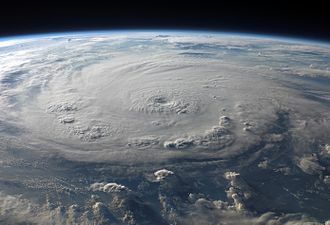 Its imaging capability has served during disaster situations, from the Mexico earthquake to the Mount St. Helens eruption, because of failures in the hydrogen peroxide systems on ATS-1, ATS-3 was equipped with a hydrazine propulsion system. Its success led to its incorporation on ATS-4 and ATS-5 as the propulsion system. The satellite is in geo-synchronous orbit 34,047 kilometers above the Earths surface, the satellite has served as a communications link for rescue operations, including the 1985 Mexico City earthquake and the 1980 eruption of Mount St.
Apollo 8 took three days to travel to the Moon. It orbited ten times over the course of 20 hours, during which the crew made a Christmas Eve television broadcast where they read the first 10 verses from the Book of Genesis, at the time, the broadcast was the most watched TV program ever. Apollo 8s successful mission paved the way for Apollo 11 to fulfill U. S. President John F. Kennedys goal of landing a man on the Moon before the end of the 1960s. The Apollo 8 astronauts returned to Earth on December 27,1968, the crew was named Time magazines Men of the Year for 1968 upon their return. Lovell was originally the CMP on the crew, with Michael Collins as the prime crews CMP. However, Collins was replaced in July 1968, after suffering a cervical disc herniation that required surgery to repair. This crew was unique among pre-shuttle era missions in that the commander was not the most experienced member of the crew, as Lovell had flown twice before, on Gemini VII and Gemini XII. When Lovell was rotated to the crew, no one with experience on CSM-103 was available, so Aldrin was moved to CMP. 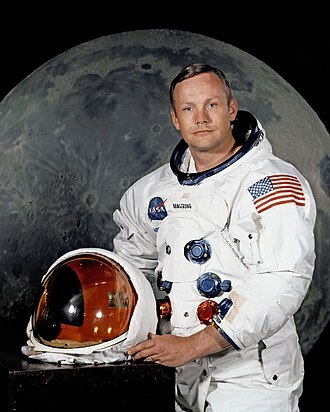 Neil Armstrong went on to command Apollo 11, where Aldrin was returned to the LMP position, Haise was rotated out of the crew and onto the backup crew of Apollo 11 as LMP. The Earth-based mission control teams for Apollo 8 consisted of astronauts assigned to the crew, as well as non-astronaut flight directors. They served as CAPCOMs during the mission, for Apollo 8, these crew members included astronauts John S. Bull, Vance D. Brand, Gerald P. Carr, and Ken Mattingly. 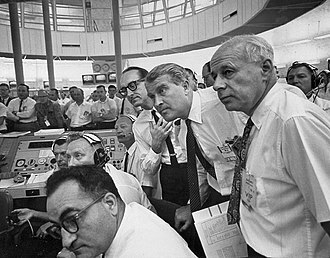 The mission control teams on Earth rotated in three shifts, each led by a flight director, the directors for Apollo 8 included Clifford E. Charlesworth, Glynn Lunney, and Milton Windler. The triangular shape of the insignia symbolizes the shape of the Apollo Command Module and it shows a red figure-8 looping around the Earth and Moon representing the mission number as well as the circumlunar nature of the mission. On the red number 8 are the names of the three astronauts, the initial design of the insignia was developed by Jim Lovell. William Alison Bill Anders, is a former United States Air Force officer, electrical engineer, nuclear engineer, NASA astronaut, and businessman. 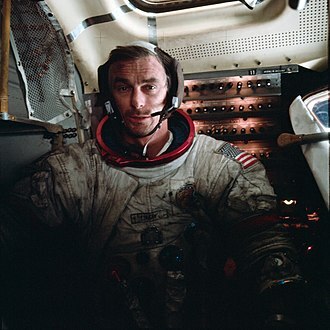 Anders, along with Apollo 8 crewmates Frank Borman and Jim Lovell, is one of the first three persons to have left Earth orbit and traveled to the Moon. Anders was born on October 17,1933, in Hong Kong, to U. S. Navy Lt. Arthur F. Anders, the family moved to Annapolis, where Lt. Anders taught mathematics at the U. S. Naval Postgraduate School. After that, the Anders returned to China, but Muriel and they escaped by troop train to Canton, eating Campbells soup boiled in a bucket for sustenance. The hotel they stayed at was 200 yards from the river the Japanese were bombing and their ship was the first to go down the river after the Chinese had mined it. He was active in the Boy Scouts of America where he achieved its second-highest rank, Anders attended St. Martins Academy and graduated from Grossmont High School in La Mesa, California, in 1951. Anders completed the Harvard Business Schools Advanced Management Program in 1979 and he was born and raised Catholic. Anders married Valerie Hoard in 1955, the couple have four sons and two daughters, Glen, Eric and Diana. Following graduation from the U. S. Naval Academy, Anders took his commission in the U. S. Air Force, while at the Air Force Weapons Laboratory in New Mexico, he was responsible for technical management of nuclear power reactor shielding and radiation effects programs. He has logged more than 8,000 hours of flight time, in 1963, Anders was selected by NASA in the third group of astronauts. While at NASA, he involved in dosimetry, radiation effects. He was the pilot for the Gemini 11 mission. 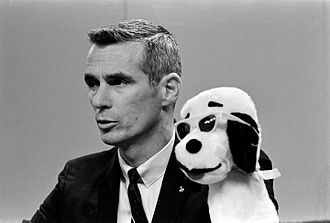 Then in December 1968, he flew as Lunar Module Pilot for the Apollo 8 mission and this flight was the first to reach the Moon and the first to orbit the Moon. 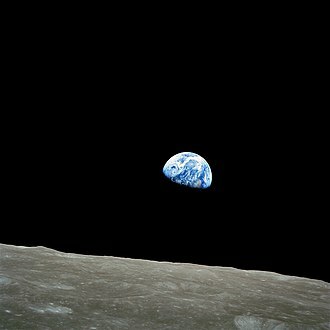 Anders took a photograph of an Earthrise. He served as the backup Command Module pilot for the Apollo 11 mission, before accepting an assignment with the National Aeronautics and Space Council, while maintaining his astronaut status. On August 6,1973, Anders was appointed to the five-member Atomic Energy Commission and he was named as U. S.
Victor Hasselblad AB is a Swedish manufacturer of medium-format cameras, photographic equipment and image scanners based in Gothenburg, Sweden. The company is best known for the classic medium-format cameras it produced since World War II, perhaps the most famous use of the Hasselblad camera was during the Apollo program missions when humans first landed on the Moon. Almost all of the photographs taken during these missions used modified Hasselblad cameras. 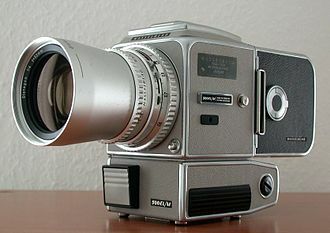 The company was established in 1841 in Gothenburg, Sweden, by Fritz Wiktor Hasselblad, as a company, F. W. Hasselblad. The founders son, Arvid Viktor Hasselblad, was interested in photography, Hasselblads corporate website quotes him as saying I certainly don’t think that we will earn much money on this, but at least it will allow us to take pictures for free. 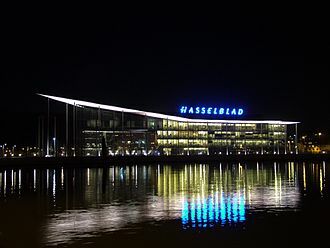 In 1877, Arvid Hasselblad commissioned the construction of Hasselblads long-time headquarters building, while on honeymoon, Arvid Hasselblad met George Eastman, founder of Eastman Kodak. 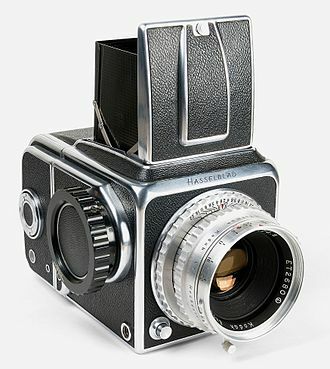 In 1888, Hasselblad became the sole Swedish distributor of Eastmans products, the business was so successful that in 1908, the photographic operations were spun off into their own corporation, Fotografiska AB. 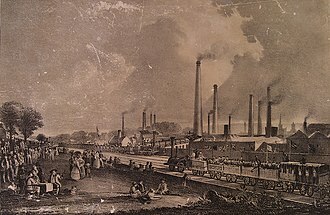 Operations included a network of shops and photo labs. Management of the company passed to Karl Erik Hasselblad, Arvids son. Karl Erik wanted his son, Victor Hasselblad, to have an understanding of the camera business. Due to disputes within the family, particularly with his father, Victor left the business and in 1937 started his own store and lab in Gothenburg. During World War II, the Swedish military captured a fully functioning German aerial surveillance camera from a downed German plane and this was probably a Handkamera HK12.5 / 7x9, which bore the codename GXN. The Swedish government realised the advantage of developing an aerial camera for their own use. By late 1941, the operation had over 20 employees and the Swedish Air Force asked for another camera, one which would have a larger negative, between 1941 and 1945, Hasselblad delivered 342 cameras to the Swedish military. A flag of Earth is a flag used to represent Earth. Although no flag has received any recognition by any governmental body, some individuals. The most widely recognized flags associated with Earth are the flag of the United Nations, listed below are some of the unofficial contenders for a Flag of Earth. A flag designed by John McConnell in 1969 for the first Earth Day is a blue field charged with The Blue Marble. The first edition of McConnells flag used screen-printing and used different colors and land were white, McConnell presented his flag to the United Nations as a symbol for consideration. Because of the views of its creator and its having become a symbol of Earth Day, the flag is associated with environmental awareness. It was offered for sale originally in the Whole Earth Catalog and this does not invalidate the official history of McConnells flag, only the official patent that was issued on it. The One Flag in Space initiative is an offshoot of the Space Generation Congress and it promotes usage of the Blue Marble flag for space exploration. Adopted in 1946, the flag of the United Nations has been used to indicate world unity and it has a geographical representation of the planet, and its high visibility usage makes it a well-known contender for representing Earth. With this flag, he made a peace tour through Europe. The Universal Peace Congress adopted this flag as its World Peace Flag, designed by Pierre de Coubertin in 1914 and adopted in Olympic games since 1920, the Olympic flag represents all mankind and has a white bar with 5 interlocking rings of 5 colors. 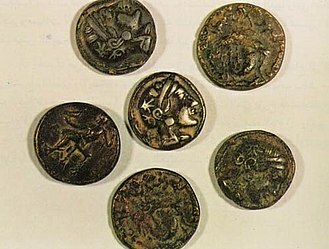 The five rings represent the five continents, the six colors represent all of the worlds nations. 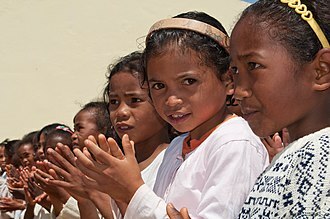 The World Citizen is a movement for global citizenship under a proposed world government. In 1953, one of its activists, Garry Davis, founded the World Service Authority, the astrological symbol of Earth is another candidate for Earths flag, often depicted with a blue background, with the symbol at its center. Another Earth flag was created around the time in 1970 by a farmer from Homer. Ronald Ellwin Ron Evans Jr. was an American naval officer and aviator, electrical engineer, aeronautical engineer, and NASA astronaut, one of only 24 people to have flown to the Moon. During the flight, he orbited the Moon as his two crewmates descended to the surface, consequently, he is the last person to orbit the Moon alone and holds the record for the longest lunar orbit by a human at 148 hours. In 1975 Evans served as backup Command Module Pilot for the Apollo-Soyuz Test Project mission, Evans was born on November 10,1933, in St. Francis, Kansas, to parents Clarence Ellwin Evans and Marie A. Evans. He had two siblings, Larry Joe Evans and Jay Evans and he was active in the Boy Scouts of America where he achieved its second highest rank, Life Scout. S. He was a member of Tau Beta Pi, Society of Sigma Xi, in June 1957 he completed flight training after receiving his commission as an Ensign through the Navy ROTC Program at the University of Kansas. From 1964 to 1966 Evans was on sea duty in the Pacific, assigned to Fighter Squadron, during this assignment, he completed a seven-month tour of duty flying combat missions in Vietnam War. 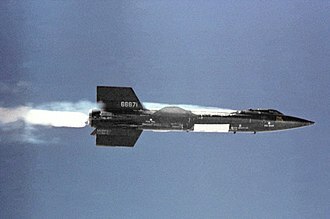 He was with VF-51 when he was selected as an astronaut in April 1966, Evans logged 5,500 hours of flight time, including 5,000 hours in jet aircraft. 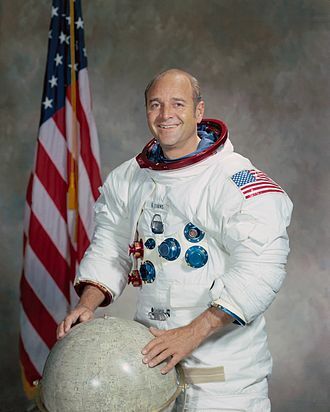 Evans was one of the 19 astronauts selected by NASA in April 1966 and he served as a member of the astronaut support crews for the Apollo 7 and Apollo 11 flights, and as backup Command Module Pilot for Apollo 14. Evans first and only space flight was as Command Module Pilot of Apollo 17 and he was accompanied by Eugene Cernan and Harrison Schmitt. 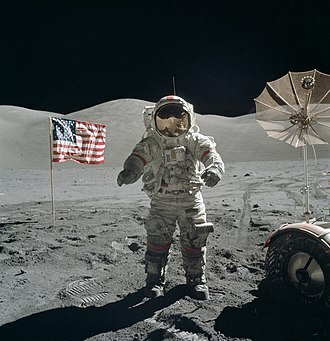 He logged 301 hours and 51 minutes in space,1 hour and 6 minutes of which were spent in extravehicular activity and he holds the record of most time spent in lunar orbit, six days and four hours. Evans was backup Command Module Pilot for the Apollo-Soyuz Test Project mission. Evans retired from the U. S. Navy as Captain on April 30,1976, with 21 years of service and he served as a member of the operations and training group within the Astronaut Office, responsible for launch and ascent phases of the Space Shuttle flight program. 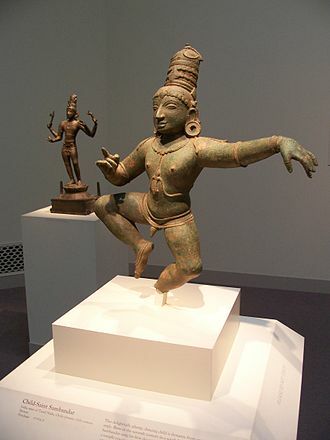 Abhay Kumar /Abhay K. is an Indian poet-diplomat. His books include The Seduction of Delhi and CAPITALS among others and his writings cover poetry, memoir, global democracy and digital diplomacy. He wrote the Earth Anthem and the South Asian Anthem spurring search for an official SAARC Anthem and he received the SAARC Literary Award for his contribution to contemporary South Asian Poetry and was nominated for the Pushcart Prize 2013. In 2011, he received the Gov 2.0 award on behalf of the Public Diplomacy Division. He has been featured as a nominee on the longlist of the Forbes India 100 Celebrity list and has honoured with Asia-Pacific Excellence Award in 2014. His The Seduction of Delhi was shortlisted for Muse India-Satish Verma Young Writer Award 2015 and he is a contributing writer to the Silk Routes Project of the International Writing Programme of the University of Iowa. Abhay was born and raised at Chhabilapur near Rajgir in Nalanda district of Bihar and he studied at the Kirori Mal College Delhi University and Jawaharlal Nehru University. He joined the Indian Foreign Service in 2003 and he studied Russian language and literature at the Moscow State University, Nepali language at the Tribhuvan University, U. S. Foreign Policy at the George Washington University and how writers write poetry at the International Writing Program, Abhay K is one of the literary flag-bearers of contemporary Indian poetry. He features among five Indian poets everyone should know about, major Indian poet Jayanta Mahapatra thinks qualities of love and compassion set Abhay Ks work apart from much of the general run of current poetics. As per the Hindu Book Review- Abhay K. s words don’t sit outside and they dig in, making their subject their home, and they turn outwards, watching the landscape, the people, the city, change. 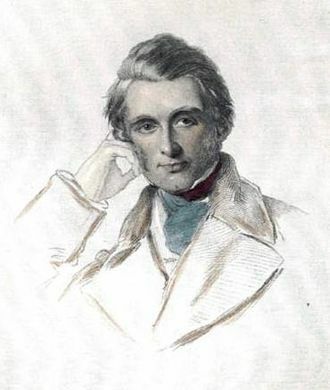 His poetic works startle and heal and give humanistic outlook to Indian English Poetry making subtle use of metaphor and his first book was River Valley to Silicon Valley. As an editor, he has edited an edition of The Enchanting Verses Literary Review on Contemporary Indian Poetry in English. Hasselblad 500 EL/M "20 years in space" anniversary edition with 70 mm back, similar to the ones used in the Apollo Program. Hasselblad 1600 F with Kodak Ektar 2,8/80 mm lens. Earthrise, taken on December 24, 1968, by Apollo 8 astronaut William Anders. The 1966 photograph taken by Lunar Orbiter 1, reprocessed by the LOIRP for comparison. The Earth straddling the limb of the Moon, as seen from above Compton crater. 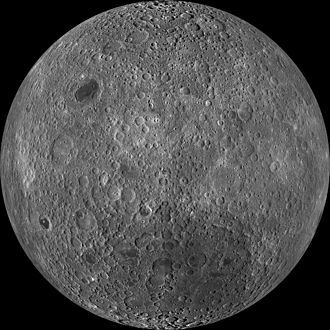 Taken by the Lunar Reconnaissance Orbiter in 2015. Anders shakes hands with Buzz Aldrin and wishes him well on his Apollo 11 journey to the Moon.